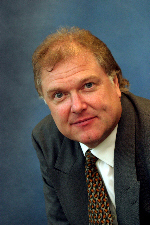 A system for helping facilities managers and cleaning professionals to improve standards and cut costs, developed by a Worcestershire-based company i-Clean Systems Ltd, has obtained a ringing endorsement from one of the best-known figures in the commercial and industrial world, Sir Digby Jones. Sir Digby, who joins the company as a non-executive director, comments: "I'm thrilled to join the board of i-Clean Systems Ltd because I have believed all my working life in the skilling of people and the implementation of recognised independent standards. "i-Clean is a pioneer in this field and provides much sought-after solutions to many public and private sector problems," Sir Digby continues. "It is where Britain is, innovative, quality and adding value." The company's managing director, Mike Boxall, says: "Sir Digby's involvement will underline the importance of the arrival of i-Clean, the first cleaning management system to be approved by the British Institute of Cleaning Science." "Some 8bn pounds a year is being spent on cleaning in the UK, but few organisations can say whether or not they obtain good value for money," Mr Boxall continues. "Sir Digby's understanding of business, including from his 6 and a half years as director-general of the CBI, will help us to communicate that such answers are available now through i-Clean." The unique, task-based i-CleanTM Cleaning Management System is made up of modules which can be used as a benchmarking tool for assessing cleaning service levels, reviewing resources and looking at new methods and products for undertaking cleaning tasks in any organisation. A tendering management module can help where cleaning services are obtained or supplied through contract. For those employing in-house cleaners, the i-Clean system offers support to the personnel function by providing management and training tools, and keeping users up-to-date with changing legislation and health and safety requirements. Further information on i-Clean is obtainable through the website www.i-clean.info, or by telephoning the company on 01684 580680.